People around the globe love hosting and attending ladybug themed parties. 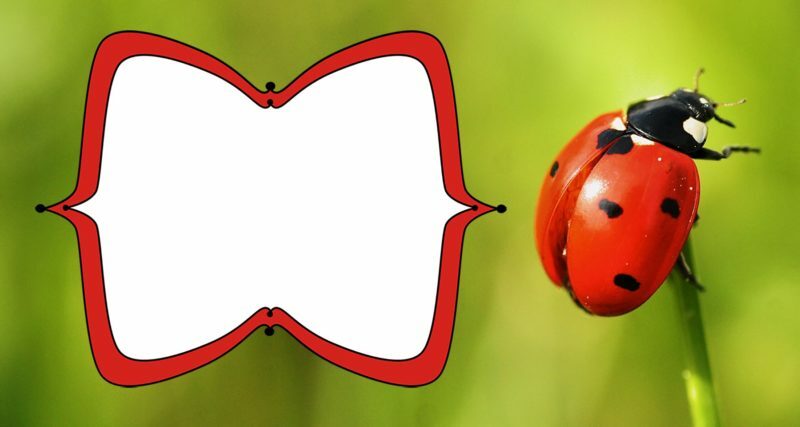 The primary reason for this is the original cute looks of the ladybug which is liked by many. 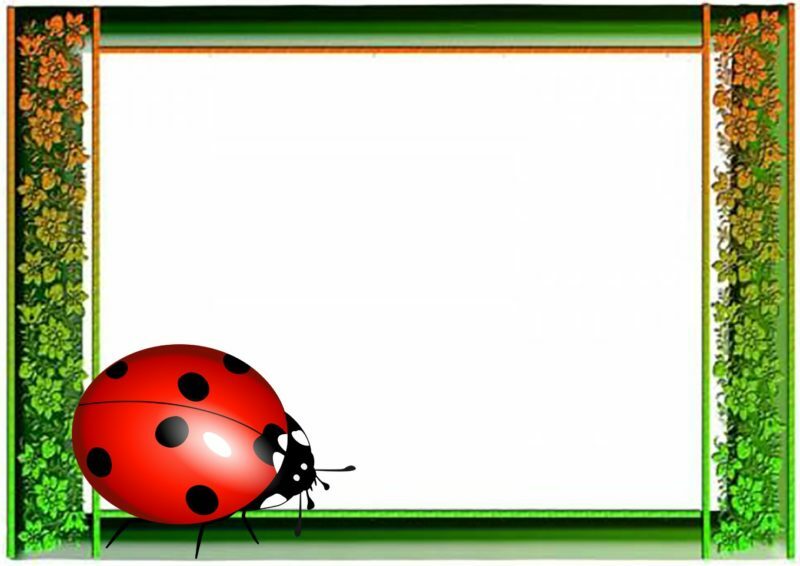 You may be looking at ways of designing Ladybug invitations for baby shower or birthday party. In this post, we will explore some ways to do just that. You can go two ways for designing invitations. Firstly, you can go the whole hog and do the entire thing yourself. This requires some commitment from you. Else, you can automate the process and let your computer do the designing work, and the printer does the printing work. Both choices are right in their ways. The choice that gives you maximum freedom to come into your own is getting your hands dirty and designing highly customized ladybug invitations on your own. Here you unleash your creativity and let your mind roam around the world to come up with fantastic ideas for invitation design. Who doesn’t want their kids’ birthday invitations to be the best? 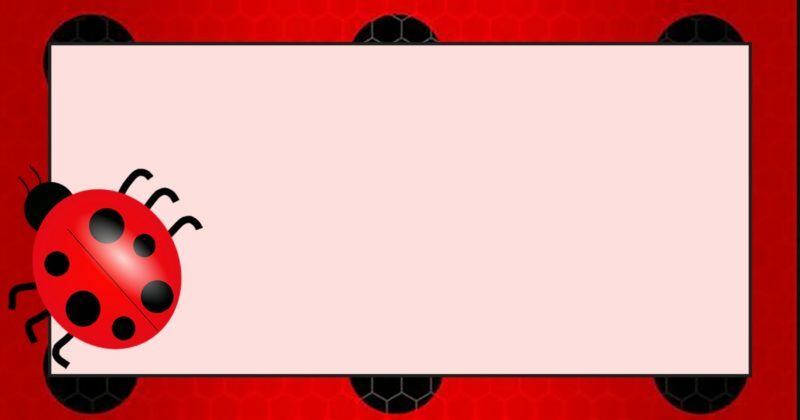 If you have decided to do the whole work on your own, you can do your think and make invitations that contain a few pages instead of a single card. 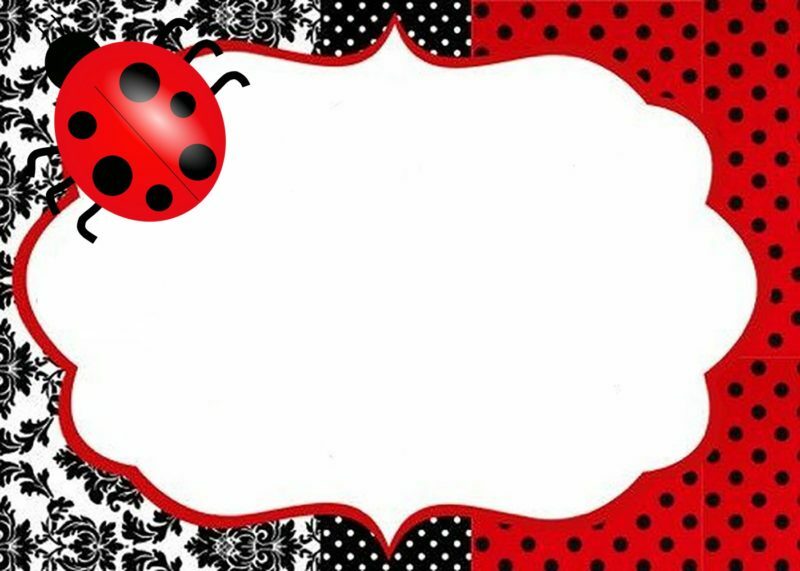 The common thing among all ladybug designs is the red background with black polka dots. The black dots can have some engravings of pictures in them, but shouldn’t veer away from the main theme. Free, Printable, Unique and Editable Templates. What else? 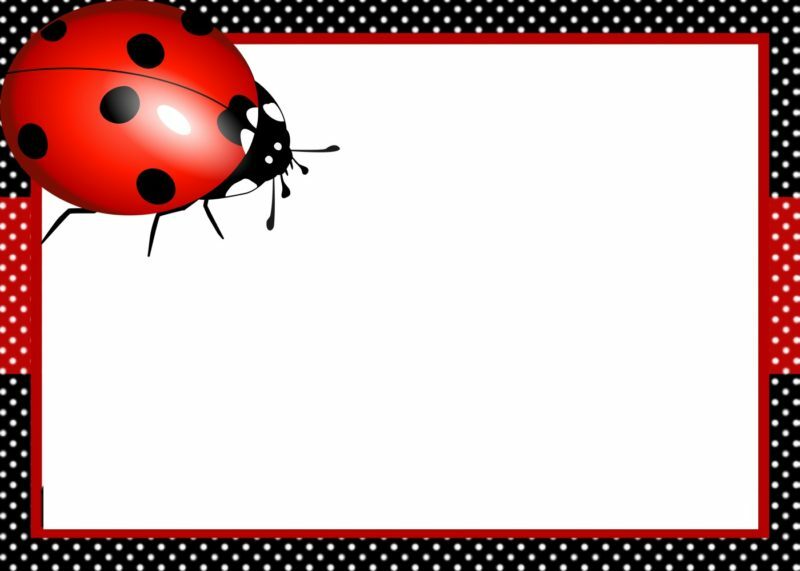 You could also add some pictures of your kid’s photos in these printable ladybug birthday invitation templates. It will give the invitations that extra layer of cuteness and more compelling for people receiving the invitations. Don’t worry about getting more ideas, just get started. You’d be surprised at how creative you are. If you are too busy with other preparations for you little Wonder’s birthday party, you can ask an expert invitation designer to create an attractive Ladybug invitation for you. You may find many people in your neighborhood, who are not professionals but do an excellent job of making invitations for a small fee. Just tell them what you want the invitation to look like and let them do the rest of their work by using their creativity. This option is a viable one since you are delegating the work to them for something around a dollar per invitation, which is not much at all. Now, if you don’t have a lot of time on hand, but want to send birthday invitations to many people, you can just print out some quickly made ready made invitation designs. There is a lot of software out there on the market especially for creating invitations. These are designed in a way that makes the invitation generating process very fast. You just have to give a few inputs and finalize a design. You can then print them out. 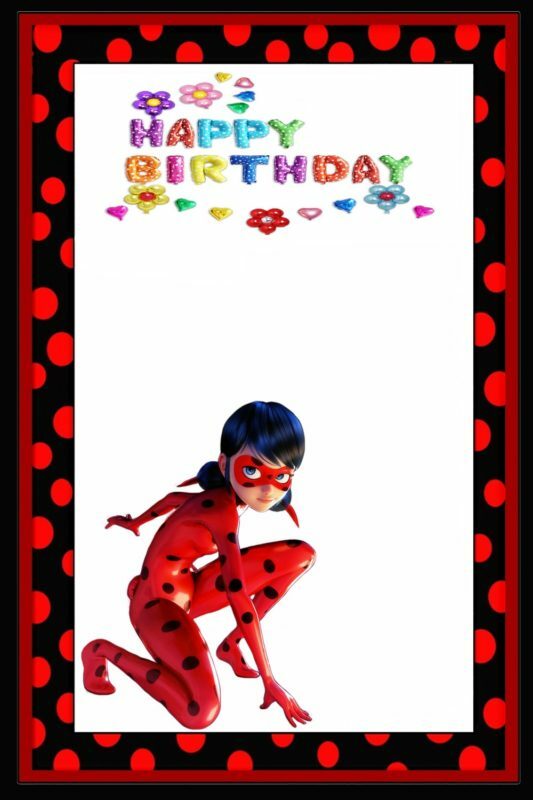 If you make Ladybug birthday invitations for your kid on your own, you will have a lot of fun. It is also a great way of showing your love to your little darlings by dedicating your time to them.